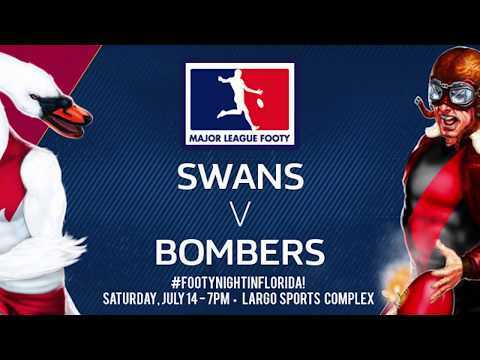 Former Denver Bulldog Torian Johnson booted two majors in his Swans debut, July 8th at Ft. Lauderdale. A sharpened Ft. Lauderdale (1-1) attack knotted the Florida Derby series, using relentless pressure to exact a measure of revenge on the St. Petersburg Swans (2-7) and run out thirty-six point winners Saturday at Central Broward Regional Park and Stadium. St. Petersburg had bested their cross-state rivals by 108 points in the sides’ last meeting. Rushing out to a 14-0 lead at the first break, a more balanced Ft. Lauderdale side took advantage of a comparatively flat Bloods’ effort, and seemed poised to break open the proceedings at any moment, although St. Pete did just enough to hang around dangerously in very humid conditions. With Ft. Lauderdale veterans Cameron Pinnock and Gavin Caddy both sidelined, the club’s eager young guns were all-too-happy to pull the weight, frequently turning back any opportunities the Swans could muster, and especially dominating play forward 50s throughout the affair. The Swans, playing in Matt Elliott’s debut as Interim Senior Coach, finally came to life in the fourth quarter, showing flashes of the offensive explosiveness that took them to the 2016 USAFL Division Four Grand Finals. With Benjamin Walker growing more confident in ruck, Aaron Crittenden and former Denver Bulldog Torian Johnson emerged as a potentially lethal combination. Crittenden twice made stellar handballs over the top to a fleeting Johnson, who converted both for early fourth period goals that gave St. Pete a momentary chance to fight their way back in. While that would not to be – as Ft. Lauderdale would answer with two lightining-strike crumbs to seal the proceedings. The loss drops St. Petersburg to 2-7 overall and 0-3 in USAFL league play, with all three losses coming on the road. Ft. Lauderdale will visit St. Pete later this summer, as plans are in the works for a deciding rubber match for the 2017 Florida Derby Series. 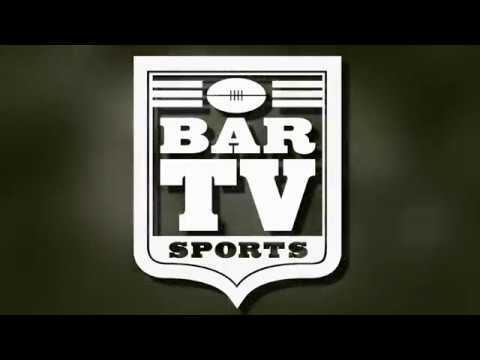 Next story TUNE IN TO THE AFL PROTECTED ZONE – WEDNESDAYS! MLF WEEK 8: CAN BLOODS TAME TIGERS? Copyright 2016 St. Petersburg Swans Major League Footy, Inc.